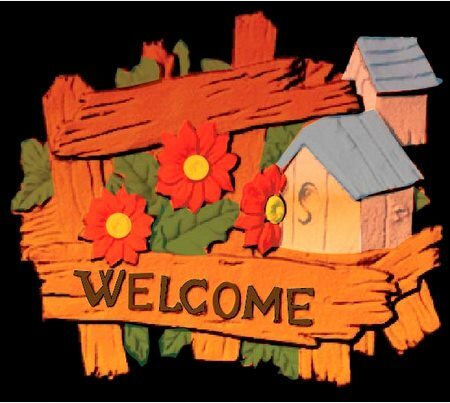 This elaborate, rustic 3-D welcome sign has been carved from Cedar, and stained with different color stains to keep a natural wood look. Alternatively, the wood could be painted with bright colored enamels. It is clear-coated Twice. This sign can be mounted on a door, a house wall , on a post , or hung from a wood or iron hanger.